The focus of this resurce is on individual vowel sounds as well as mixed CVC words for all five vowels. 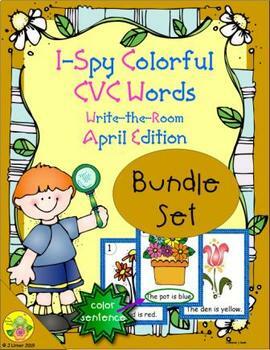 Included are 24 sets of ten objects which help young learners read and interpret simple sentences using CVC and color words. 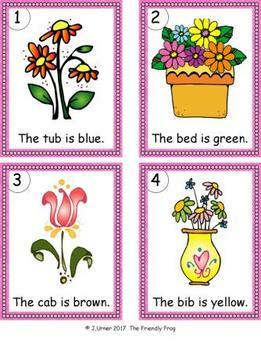 A flower theme is used. 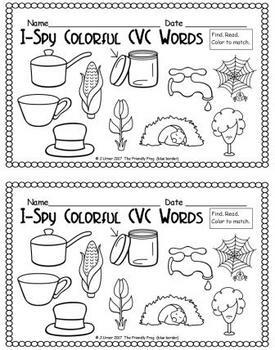 Laminate, cut out and post the card set at various locations around the room. You will also need to place eight crayons (red, orange, yellow, green, blue, purple, brown and black) near each location for student use. Or, as an alternative, the children may simply carry the colors they will need with them. The crayons will need to be in some sort of container, however, as the crayons plus a clipboard is too many for little hands to carry. Read the sentence and record as directed. 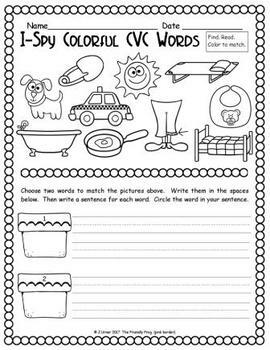 Read the sentence, record as directed, and then write two sentences using a word.